Cobinhood is also known as "COB" and operates without being controlled by a single administration, such as a central bank. COB, a digital asset, is not mineable, therefore in order to get COB, you are able to buy via an exchange. 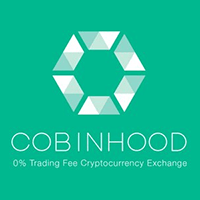 For the latest from Cobinhood, you can find them on social networks, such as Reddit, Telegram and Facebook. We don't have any wallets listed for Cobinhood yet, check back soon! We don't have any debit cards listed for Cobinhood (COB) yet, check back soon! We don't have any price charts listed for Cobinhood yet, check back soon!